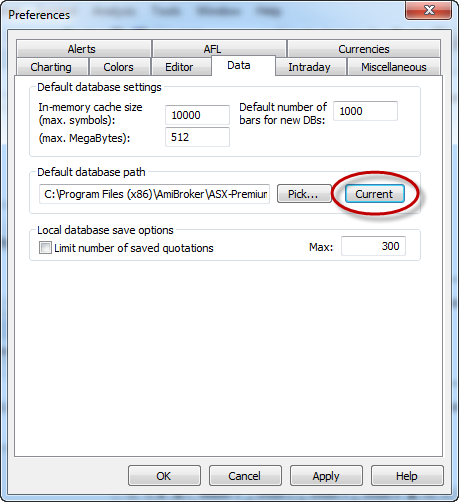 The first installation step below requires a data update to be performed. 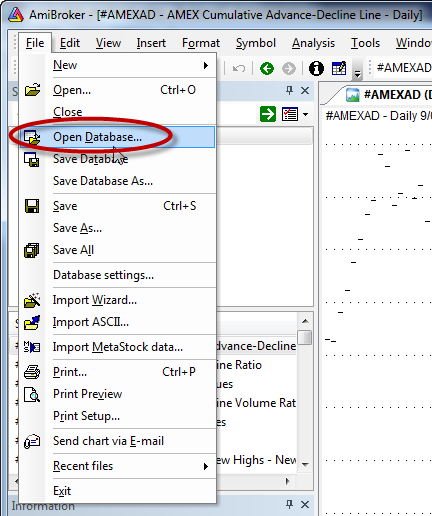 If you have purchased a data history as a stand-alone item (i.e. 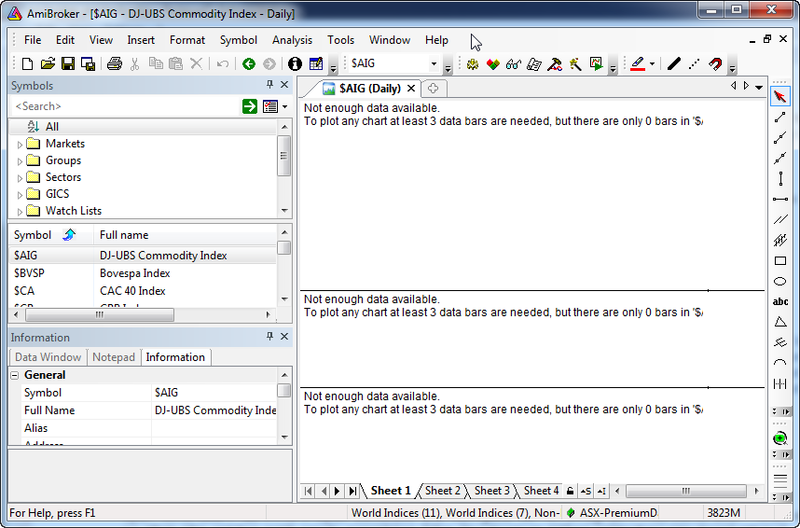 without a subscription to the ASX data updating service), then you will need to sign up for a no obligation 3-week free trial so that the installation can be completed successfully (be sure to sign-up with your existing username). 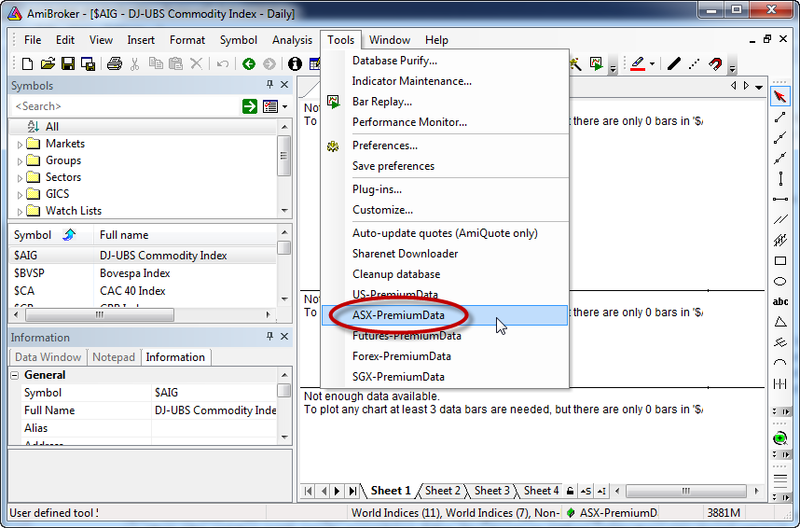 The first thing you need to do (if you haven't already done so) is install the "Premium Data" updating program and an ASX data history. After installation is complete, open the "Premium Data" program and click the "Update" button to perform an update. Please note: Performing a data update is an essential step. There is no point in proceeding with the remaining steps until you have completed Step 1. 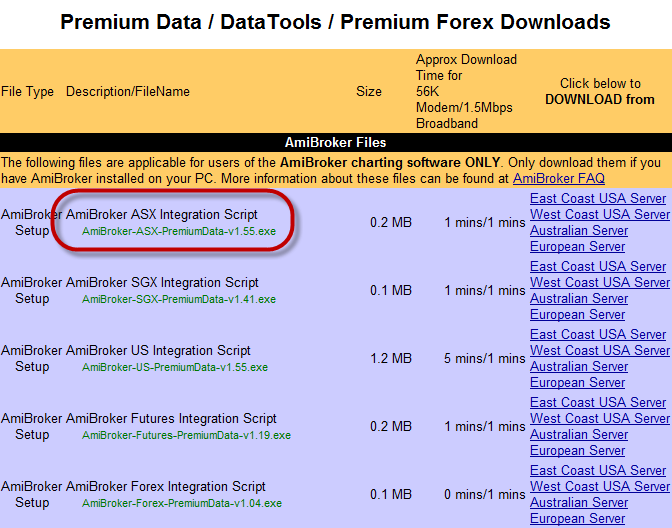 Close AmiBroker and Premium Data if they are open. 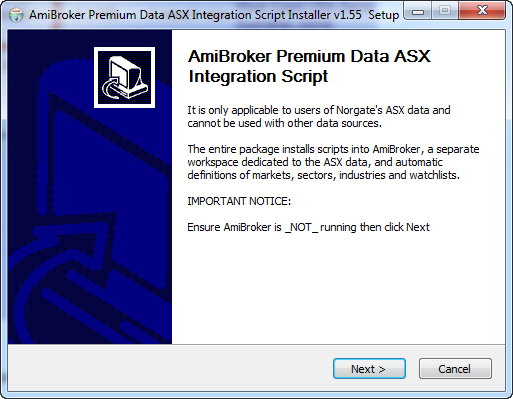 If you haven't already downloaded the Amibroker ASX Integration Script Installer from our website, do so now. 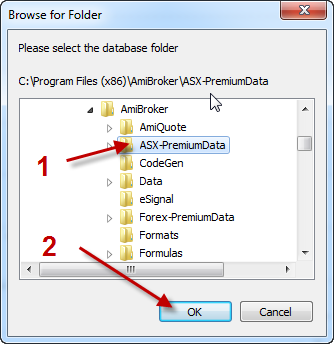 Go File > Open Database and navigate to "C:\Program Files\AmiBroker" then select the ASX-PremiumData folder so that the entire path reads something like "C:\Program Files\AmiBroker\ASX-PremiumData". Go Tools > ASX-PremiumData - this runs the maintenance script and it will populate all of the symbols, security types, sectors, industries and watchlists. Important Note! 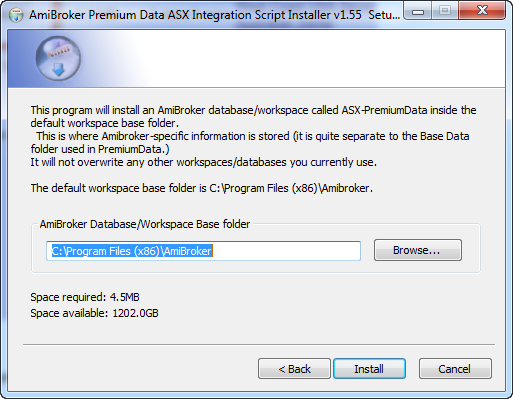 : You will need to run the maintenance script (Tools > ASX-PremiumData) periodically to bring Amibroker up to date with database maintenance actions (symbol changes, name changes, new listings, delistings etc.). For the ASX, we recommend running maintenance at least once a week (on Mondays). Please see Step 6 above.